so if i get nth ill be wearing this jumpsuit for the next fews day..
haha of coz its impossible..
its cozy, staff are super friendly and helpful! will blog more later..
where lotsa nice stuff selling!! and of coz lotsa bargain happen too..
purchase of the day…mostly black and white and beige..
not all mine though gotta continue tml..
Gosh, seeing ur post makes me want to go Bkk so so eagerly! so cute ur love heart jumpsuit! 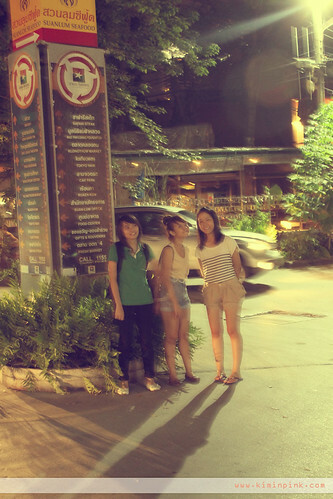 we go out after u come bek ya….i need ur information for bangkok trip~! i heard suan lum night market is closing soon wor..isit true?? got the flight tickets already but still finding suitable accommodation for 6 girls. wanna ask whr did u ask the taxi driver to stop u over to the hotel? and which soi does it located at? i miss the time hanging out with u guys lar >< " please make it ON in another trip. damn sorry to you guyssss… so so so damn sorry! sharon:hehe i nvr been to Europe b4!sad dao!!!! me lagi envy u k! u can go bkk anytime! Yvon: thanks dear, ya it was fun! 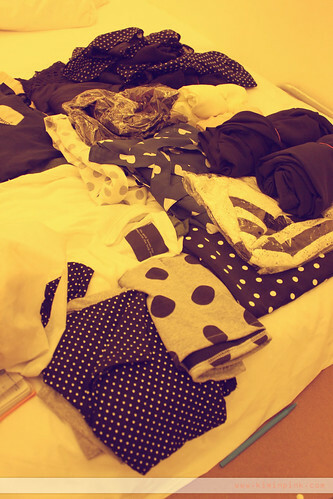 Sharon:hehe..yaya i like polka dot! cant resist dots..
Ping: sure dear! no problem..
juju: really? 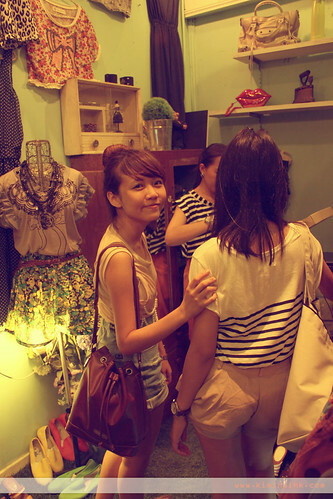 i nvr heard of it..my thai friend nvr mention to us too..hopefully its not i wanna go again next time!